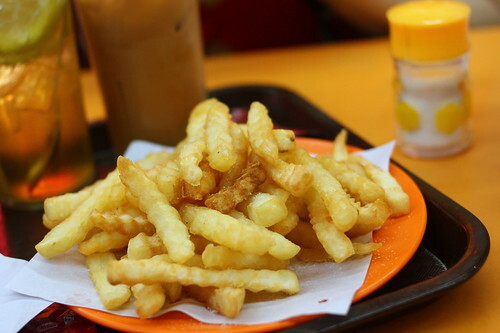 When it comes to Hong Kong style burger, most people would point you to Si Sun Fast Food for its bargain hearty burger with homemade sauce and meat patty. 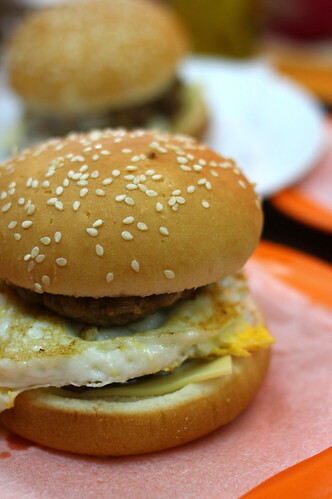 For around HKD16 you get yourself a double cheese burger with fried egg! Do expect long queues and cramped seating arrangement on a first come first served basis. You can bring you own stool and sit outside if you like, no one is going to stop you. Was it worth the wait? I guess so for its price but not sure if I will come back for the next several months until the summer is gone. It was a pleasant experience thanks to the great company. Check out Mochachocolata Rita's version of this visit. They all ordered mat burgers while for some odd reasons I ordered a fish burger because ... I want to be different? And I even forgot to snap a picture of the fish burger as well! Argh! 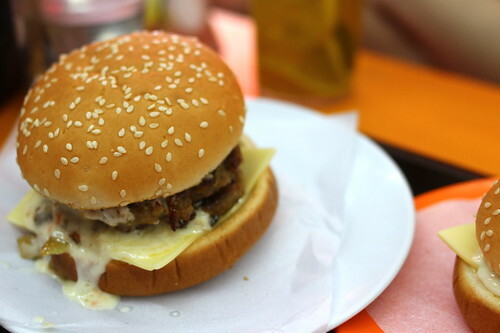 The Double Cheese Burger with the melting cheese was like calling to be eaten! 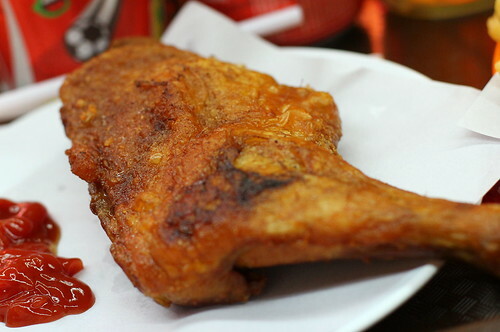 I was told that the bun was rather soft and the meat ... the meat ... well, hard to tell whether it as pork or beef? HAHA ... At least my fish tasted like fish. 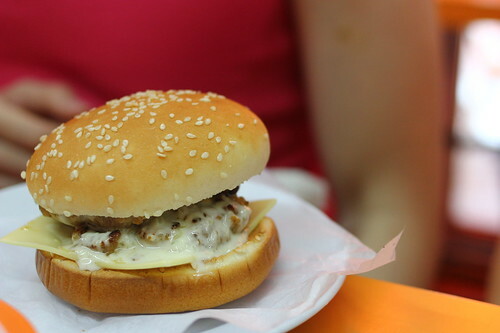 As long as it was meaty, it was good enough as a burger (Hong Kong style wise of course)! The addition of the fried eggs in my opinion was a very crucial item for a Hong Kong style burger! They do offer Pork Burger with cheese but as Rita mentioned, the size of the burgers were pretty TINY that I did not dare to ask for a bite as well. One bite from me would be ... 70% of the whole burger!